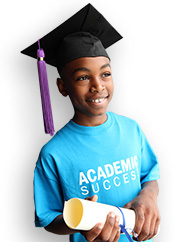 New opportunities to prepare Club members for life after graduation. By 2020, 60 percent of all jobs will require education and/or training beyond high school. It is estimated that if the lack of a skilled workforce is not addressed, the U.S. economy will face a shortage of 5 million workers. Preparing the next generation prepare for the jobs of tomorrow is critical to ensuring a great future for young people. 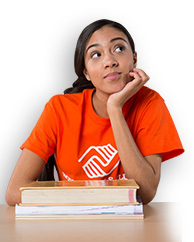 Members of the Boys & Girls Clubs of King County, in the metro Seattle Washington area, are connected to new opportunities to prepare them for life after graduation, with the organization’s local YouthForce program. The program engages teens with employment opportunities and career development workshops, while creating value for the community by helping build the skills pipeline for local businesses. Teens begin the program with a series of workshops targeted to prepare them for a future job and career, after going through career counseling, resume writing and mentoring, they are then placed in internships with local businesses where they build employment skills alongside peers. After completing training, Club teen Miracle was placed as an intern with Kaiser Permanente. Her internship centered around creating her own project that would help teens learn more about healthcare. She partnered up with an upcoming Youthforce jobs fair at the Club and hosted a table where she shared what she learned about careers in healthcare to her peers. “There’s a lack of informational resources for underserved youth about healthcare jobs. I decided to partner with the Boys & Girls Club to get more resources out there.” – Miracle, Boys & Girls Clubs of King County. For Miracle, career readiness at her Club has given her the opportunity to explore different career paths and pursue her newly found passion for medicine. 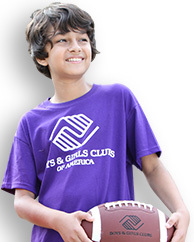 Learn more about Boys & Girls Clubs of King County’s local career readiness programs on their webpage.